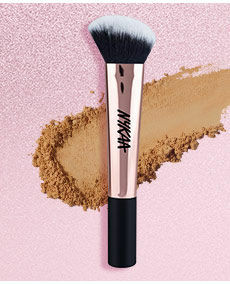 Nykaa BlendPro Powder brush is fluffy and round, provides a quick and even coverage to give you that perfect finish. You get a perfectly even complexion with one swipe. Blend well using circular movements - start from the centre of your face and work outwards. 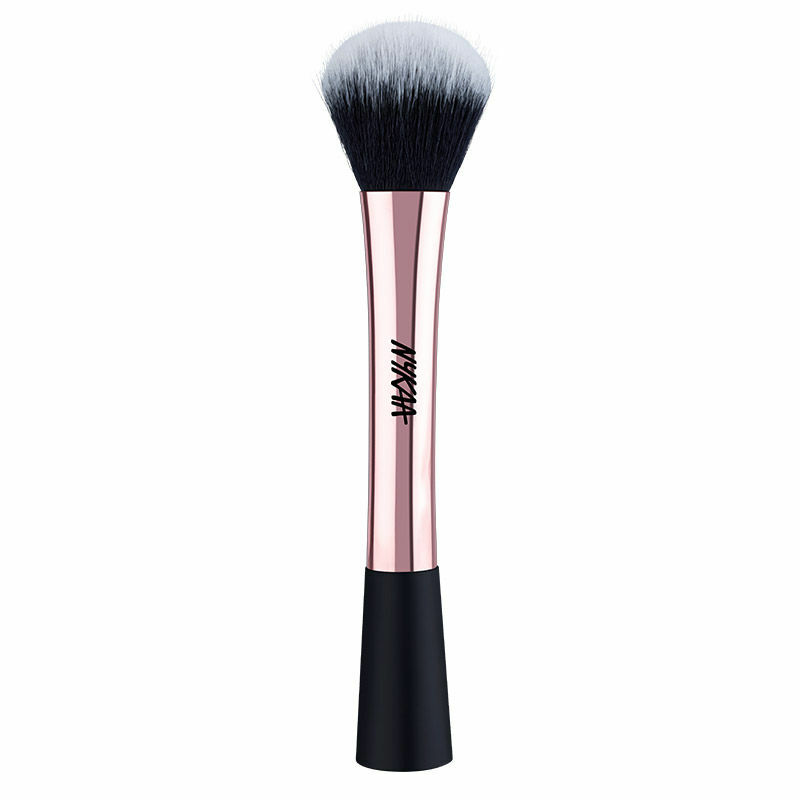 This angled plush brush seamlessly blends your contour product into your skin by hugging all the angles and curves on your face. 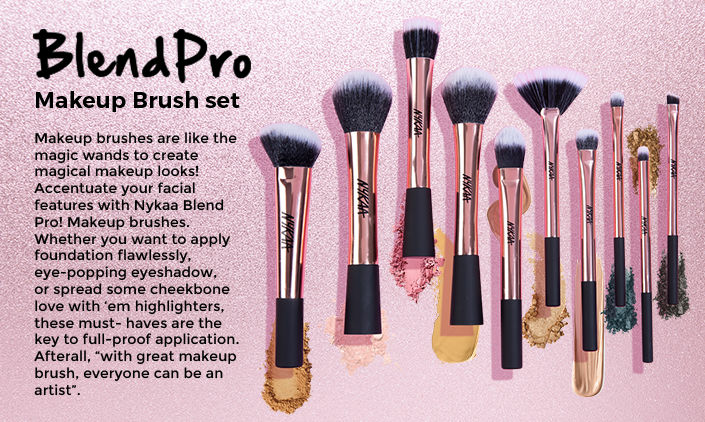 Enhance your natural features effortlessly and brush off the haters with the brush that’ll give you those sculpted cheekbones. Ideal with liquid, cream or powder products. You can also use the other side to blend further or remove any excess product. Meet the brush that`ll give you that beautiful, natural looking flush! This slightly tapered brush provides ultimate control to give you denfinition results. Add that gorgeous pop of color. Apply to the apple of cheek, blending outward and downward toward the hairline for the most natural effect. 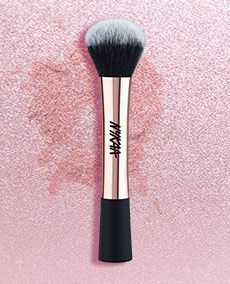 The make up brush that does it all! Nykaa BlendPro Stippling Brush. 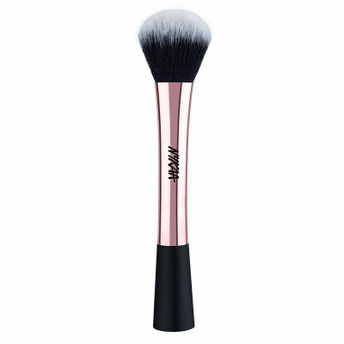 This fluffy, flat surfaced brush creates an airbrushed look and allows you to perfect your makeup base. An ideal finishing step to ace your base! 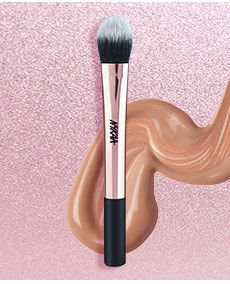 Meet the makeup brush that is designed to make your base look like second skin. Nykaa BlendPro! 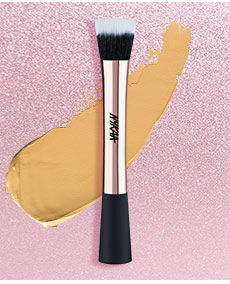 Foundation Makteup Brush is the ultimate flat foundation brush that provides your quick coverage and seamless blending. You get more foundation on your skin, and less on the brush. Apply liquid foundation to the back of your hand and dip your foundation brush into the product or directly apply it on your skin. Blend the foundation in a stippling and circular motion, for an even application starting at the center of your face, working outward. 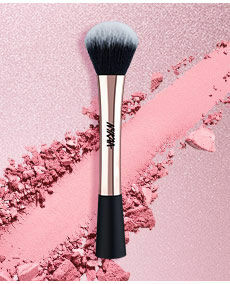 Expertly crafted for highlighting, this fan brush gives a feather-like effect while application. It softly diffuses the highlighting powder across your cheek-bones, bridge and tip on your nose for a highlight that looks lit from within. 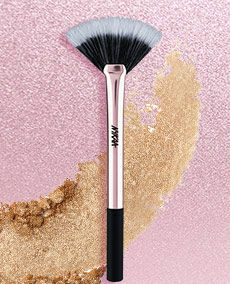 Shine like a rare diamond, with the brush that’ll make you glow like a goddess! Highlight the top of cheekbones and other high points of the face where you want to mimic light reflecting. 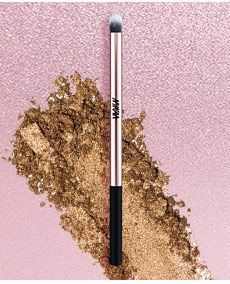 Meet the brush that`ll take your eye make up definition to another level! Expertly crafted to add definition with its angled sleek bristles, this brush gives concentrated colour pay-off. Let your eyes speak volumes for you! 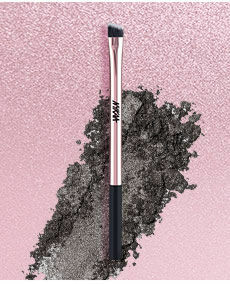 The brush that`ll make your eyes pop. 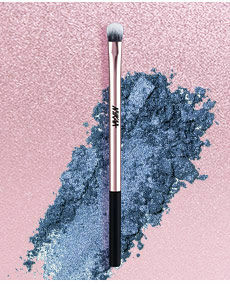 Expertly crafted for applying eyeshadow on your eyelids, this flat brush provides great pick up and splendid outcome. The colour transfers on the lids efficiently, without any falls. Packed with ultra-soft, luxe cruelty-free and vegan bristles. Let your eyes do all the talking. 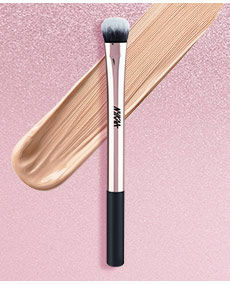 The brush that`ll make your transition colour look flawless. Expertly crafted to allow you to blend your eyeshadow in your creases, this fluffy brush packs the exact amount of colour and blends like a dream over your crease. Go ahead, blend it like a pro!